The Australian Shelduck, Tadorna tadornoides is a shelduck, a group of large goose-like birds which are part of the bird family Anatidae, which also includes the swans, geese and ducks. These ducks are protected under the National Parks and Wildlife Act, 1974. 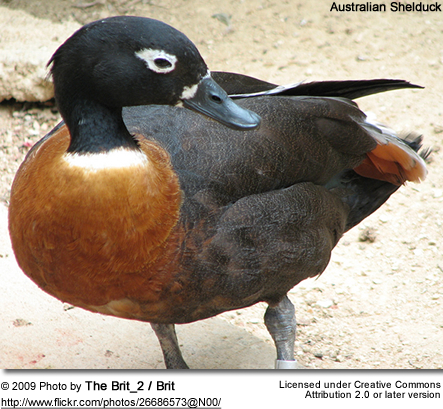 This is a bird which breeds in southern Australia and Tasmania. In the southern winter, many birds move further north than the breeding range. As with other shelducks, this species has favoured moulting grounds, such as Lake George, NSW, where sizable concentrations occur. 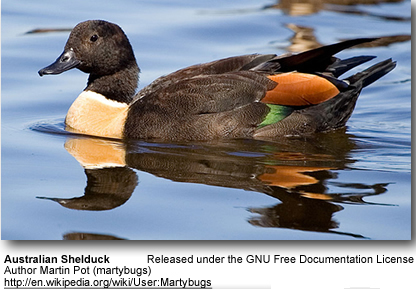 This species is mainly associated with lakes in fairly open country, breeding in tree holes, holes in banks or similar. 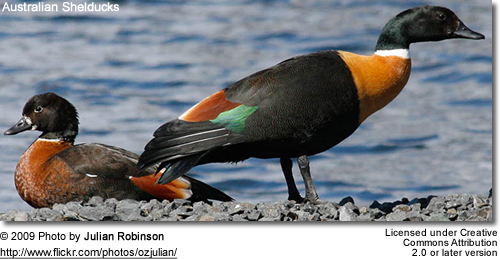 The male (depicted) is largely blackish, with a chestnut breast, white neck collar and dark green head. The female is similar, but has white around the eye. 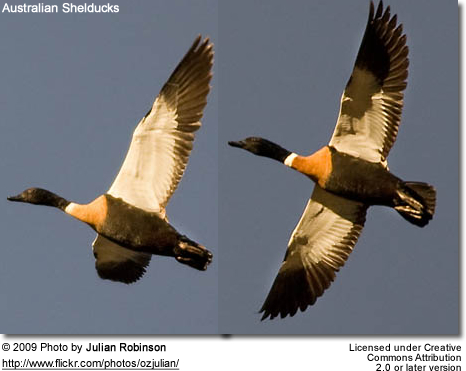 Both sexes, like most shelducks, show large white wing patches in flight. We all enjoy these beautiful birds and many of us offer them food to encourage them to come over and stay around - and it works! Who doesn't like an easy meal!